Here are a few things investors should do in the new financial year to ensure that the rest of the year goes off smoothly. The equity markets are close to all-time highs. This means the asset allocation of your portfolio would have changed. Equities rose 18.5%, debt grew 9% while gold gave negative returns in 2016-17. To reset the portfolio to your desired allocation, sell some equity investments and invest the proceeds in debt and gold. It has been proved that investors who periodically rebalance their portfolios get better returns than those who don’t. To avoid last minute tax planning, start SIPs in April. The SIP route is easy on the pocket and yields better returns too. If you started an SIP of Rs 5,000 per month in an ELSS fund in April 2014 and continued till March 2017, the Rs 1.8 lakh invested would be now worth Rs 2.15 lakh. However, if the investments were bunched into the last three months of the three financial years, the corpus would be Rs 2.01 lakh. If you or a senior citizen investor in the family are not in the taxable bracket, submit Form 15G or 15H to avoid TDS on investments. The good news is that some banks allow online submission of these forms. However, make sure that the individual is eligible to submit these forms. An incorrect declaration amounts to tax evasion and can invite stiff penalties from the tax department. It’s time to review your financial goals. Some investments may have underperformed, leading to a shortfall in target for a goal. Invest more to cover the gap. Or the target may have moved up. For instance, the price of a house you were planning to buy may have gone up. Check how investments for different goals have progressed and decide if you need to invest more. Rates on small savings have been cut. The PPF will now give only 7.9%. But you can earn more if you opt for the Voluntary Provident Fund (VPF). At 8.65%, it offers higher rate than small savings schemes. The returns are taxfree and there are no restrictions on deposits. Ask your employer to deduct a higher amount for VPF. 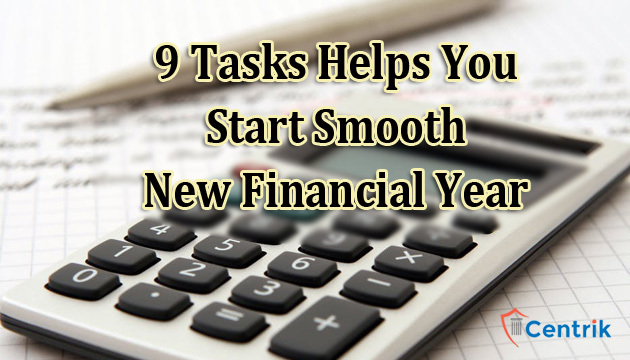 In most firms, this can be done only at the beginning of the financial year or in October. The ongoing tariff war between telecom companies presents an opportunity for you. Many players are offering unlimited calls and data for a nominal monthly fee. If you’re paying too much, consider switching operators using the mobile number portability facility. Or find out about cheaper plans your current operator offers. Opt for a yearly DTH subscription rather than monthly and save money. It’s time to get ready to file your tax returns. The tax deducted by your employer will reflect in Form 16. Check your Form 26AS online to make sure that all other taxes (advance tax, TDS on investments and other direct taxes) have been credited to your PAN. You can use your Netbanking account to check Form 26AS. In case of a discrepancy, notify the deductor immediately and get it rectified before the tax filing season star ts. The National Pension System (NPS) is more attractive now. Two years ago, the government introduced an additional deduction of Rs 50,000 for investments in NPS under Sec 80CCD (1B). Last year, it made 40% of the corpus tax free. The PFRDA has made it very easy to open an NPS account online for Aadhar card holders. It is now a simple 15-20 minute affair. It is time for annual increments. As your take home pay increases, your expenses also go up. Very few people manage to control their pursestrings when they have money to spend. But when your income rises, so should your investments. If you have SIPs running, it is time to increase the investment amount by 10-15% so that your overall savings rate does not decline.